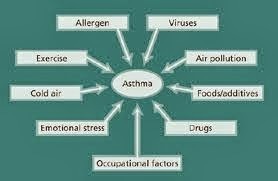 Triggers often bring on asthma attacks. A trigger is any thing or condition that causes inflammation in the airways, which then leads to asthma symptoms. Your personal triggers can be very different from those of another person with asthma. But in every case, it's important to avoid your triggers in order to keep airway inflammation to a minimum and reduce the symptoms. Untreated conditions such as rhinitis, sinusitis, and gastroesophageal reflux (GERD). Drugs - NSAIDS such as aspirin, Ibuprofen (motrin), acetaminophen (tylenol), naproxen sodium, and ketoprophen; statin drugs (cholesterol reducing medications); and other anti-inflammatory drugs. 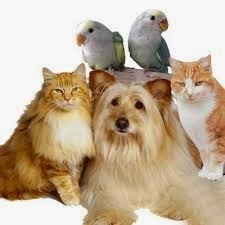 Pet fur or feathers, pet urine, saliva and dander. Cockroach waste and decomposing carcass. Tobacco smoke and wood smoke. Perfumes, hairsprays, scented lotions, and cologne. Air fresheners, incense sticks and scented candles. Cleaning solutions, pesticides and paint fumes. Pollen from trees, grasses, and weeds. Exposure to cold air or hot humid air. Industrial emissions, vehicle or truck exhaust, and other air pollutants such as Coal Dust. Will reducing exposure to triggers reduce my symptoms? For most people with asthma, triggers are only a problem when their asthma is not well-controlled. Research shows that for most people with well-controlled asthma, reducing exposure to triggers doesn’t reduce symptoms or reduce the risk of an asthma attack. To improve your asthma and reduce the risk of a severe attack, you need to treat the underlying airway inflammation with medication. This is the best way to reduce asthma symptoms and the risk of needing to go to hospital or dying from asthma. Treatment also reduces the chance that you will get any symptoms in response to something that previously triggered your sensitive airways. You have trouble some asthma symptoms despite treatment. You need high doses of medication to keep your asthma symptoms under control. Cigarette smoke is directly harmful to the airways and makes asthma worse, so exposure to cigarette smoke should be avoided by anyone who has asthma. Many people with asthma are allergic to dust mites. 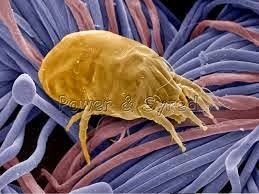 House dust mites are microscopic creatures that live on skin flakes shed by humans and pets. They thrive in warm, humid environments like mattresses, upholstery, pillows and carpets. They are found everywhere humans and warm-blooded animals live. It is especially important to keep your bedroom or sleeping area as "asthma-safe" as possible as you spend so much time there. Put your mattress and box spring in airtight, or plastic, covers that completely encases (with a zipper) the mattress and box spring. Damp wipe mattress cover weekly. Reduce clutter, toys and collections in bedroom. Place stuffed toys in freezer overnight every week. Put your pillow in an airtight cover or wash it every week in hot water. Avoid sleeping or lying on upholstered furniture. Remove carpets that are laid on concrete. Wash your bed covers and clothes every week in hot water. Reduce indoor humidity to less than 50 percent. Use a dehumidifier if needed. Remove carpets and drapes from your bedroom. Use a washable window shade instead. All warm-blooded pets, including dogs, cats, birds, and rodents, can make your asthma worse. The flakes or scales from the skin, hair, or feathers of these animals and dried saliva or urine can make people start coughing, wheezing, or get itchy, watery eyes. This is called an allergy. Choose a pet without fur or feathers. Remove the animal from the house. If you must have a pet with fur or feathers, keep the pet out of your bedroom at all times, especially when you are sleeping. Wash the pet once a week, every week. Avoid visits to friends or relatives who have pets with fur or feathers. You may need to take your asthma quick-relief medicine 20 to 30 minutes before visiting homes or places where animals with fur or feathers are present. Avoid products made with feathers, for example, pillows and comforters. Also avoid pillows, bedding, and furniture stuffed with kapok (silky fibers from the seed pods of the silk-cotton tree). Pollen are tiny particles produced by trees, grasses, weeds, and flowers. They are carried on the wind or by insects, and can cause asthma attacks. Air pollution can also asthma attacks. 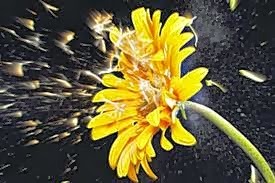 Use air conditioning, if possible, during seasons when pollen is highest. Keep windows closed during seasons when pollen is highest. Consider staying indoors during the middle of the day and afternoon when the pollen count is highest. If you are outside when the pollen count is high, it might help if you wash your hair before you go to bed. Check the air indexes, and avoid going outdoors when the pollution or pollen counts are high. 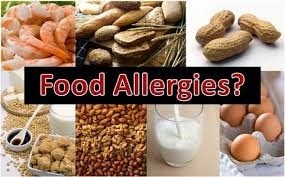 Sulfites and sulfiting agents in foods (found in dried fruits, prepared potatoes, wine, bottled lemon or lime juice, and shrimp), and diagnosed food allergens (such as milk, eggs, peanuts, tree nuts, soy, wheat, fish and shellfish) have been found to trigger asthma. Wear a medic-alert bracelet that identifies your food allergies. Carry injectable epinephrine to provide first aid during an emergency allergic reaction, see your doctor for more information about this. Did you know children can carry their asthma and allergy medications while at school? Learn more about this law. Read food labels closely to avoid eating hidden triggers. Tobacco smoke irritates the airways, and over time, can cause permanent damage to the lungs. The nose and the lining of the lungs filter the air that is inhaled. 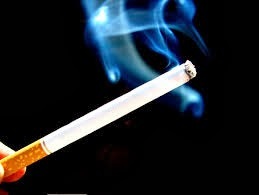 When smoke (either from smoking tobacco or breathing it in second-hand) is inhaled, it can destroy this lining. When this happens, it may cause asthma attacks and respiratory infections to happen more often. It is best not to smoke or be near smoke. Ask your doctor for ways to help you or members of your family to quit. Do not allow smoking in your home, and avoid rooms where people are smoking. Encourage household members to quit smoking, or smoke outside. The odor will remain on their clothes, however, and close contact can an asthma response, too. It may be wise to wear a "smoking jacket" when going outside to smoke, which is then removed so the odor is not brought back into the house. Do not allow any smoking in your car. Do not allow any smoking in your bedroom. Cigarette smoke is especially harmful to your infant and young children. Studies show that children who breathe second hand smoke have more lung diseases, such as asthma. Children with asthma who are around smoke have reduced lung function. They need more asthma medications and emergency room visits than children who are not around smoke. Avoid using a wood-burning stove to heat your home. Try not to be near outdoor fires, including leaf and grass fires. Avoid wood-burning fireplaces. An enclosed, vented gas fireplace is usually not a problem. Many aerosol sprays, cleaning products, and perfumes are known to cause asthma attacks in some people with asthma. Do not stay in your home when it is being painted. Allow enough time for the paint to dry and be aired out. Avoid perfume and perfumed cosmetics such as talcum powder and hairspray. Do not use room deodorizers. Use non-perfumed household cleaning products whenever possible. Reduce strong cooking odors (especially frying) by using a fan and opening windows. The waste products and rotting bodies of these insects are triggers for some people with asthma. Get rid of food sources by keeping foods in sealed containers. Use insect sprays; but have someone else spray when you are outside of your home. Air out your home for a few hours after spraying. 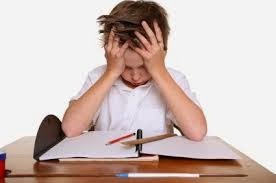 You can dust cracks and crevices (places were cockroaches walk through) with Boric acid; but be sure not to place it in areas where children can touch. Place baits in several areas. 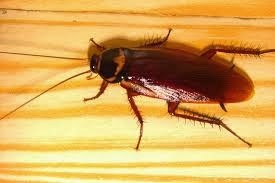 These attract and poison roaches. Purchase containers that are pet and child-proof and keep them out of their reach. 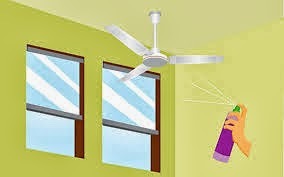 As a last resort, use insect sprays; but have someone else spray when you are outside of your home. Air out your home for a few hours after spraying. Molds are triggers for some people with asthma. Molds produce spores that can be carried in the air. These spores are triggers for some people with asthma. Try to avoid foods like beer, cider, and certain cheeses, which can contain molds. Clean bathrooms, kitchens, and basements regularly. Use your bathroom and kitchen exhaust fans when cooking or bathing to cut down on moisture and odor-making that may cause breathing trouble. Keep bathrooms, kitchens, and basements well aired. Do not use humidifiers or vaporizers. 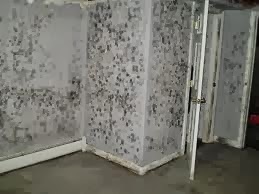 Use dehumidifiers for damp basement areas. If possible, set the humidity level between 25 and 50 percent. Empty and clean the dehumidifier water tray regularly. Avoid handling wet leaves, wet newspapers, compost piles, mulches, garden debris or soil. Some people with asthma will have an attack when they get an infection, such as a cold, the flu, bronchitis, a sore throat, etc. An increase in coughing, wheezing, shortness of breath, or production of yellow/green mucus means that a change is needed in your asthma care. Sinus drainage or infection can also make your asthma worse. Talk to your doctor about flu shots. Avoid other people with colds or flu. Wash your hands or use an anti-microbial hand cleanser often if people around you have a cold or flu. Keep your hands away from your face. Get medical advice early for any breathing problems. Follow your Asthma Action Plan. When you are sick, be sure to follow your Asthma Action Plan, rest, drink plenty of fluids (6 to 8 glasses of water each day) to keep mucus loose and your body hydrated. Eat a balanced diet. Do not take over-the-counter cold medicines, such as antihistamines and cough syrup, unless you speak to your doctor first. Extreme weather, such as very cold air or high humidity can be a trigger for people with asthma. Changes in the seasons can also be a trigger. Wear a scarf or mask over your mouth and nose in cold weather. Dress warmly in the winter or on windy days. Pull a turtleneck over your nose on windy or cold days. 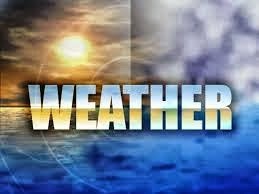 Keep track of the daily local weather forecast. Limit outdoor exposure during changes in weather. Maintain a relatively constant temperature and humidity in the house. Keep windows closed and use air conditioning (if possible) when pollen, smog and humidity levels are high. Exercise can make some people's asthma worse. About 90 percent of people with asthma have exercise as a trigger. 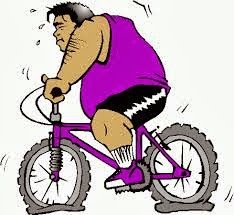 But don't avoid exercise, it is important for your health! The following suggestions should help you exercise without triggering your asthma. Work out a plan with your doctor that helps you to exercise comfortably. If you have breathing problems when you exercise, you may need to take your quick-relief medicine 20 to 30 minutes before you start to exercise. Warm up before exercising and cool down afterwards. Avoid exercise if symptoms are present. Avoid triggers that may cause or worsen exercise-induced asthma, i.e., high pollen count, cold air. Certain kinds of medicines prescribed for health problems other than asthma can or worsen asthma symptoms. Medications such as beta blockers, aspirin, non-steroidal anti-inflammatories (NSAIDs), and ace inhibitors can cause problems for some people who have asthma. Ask your doctor if you are taking any of these medicines. Ask your doctor about the safety of combining medicines each time a new one is prescribed. Talk to your doctor or pharmacist before using any over-the-counter medicines. For many people, the valve between the stomach and esophagus does not close completely, allowing stomach acid to travel up the esophagus (the food tube connecting the back of the throat to the stomach). 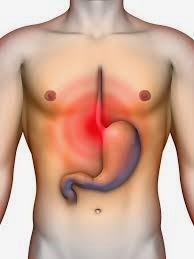 This reflux irritates not only the esophagus, but if it goes high enough, it will also irritate the lungs. People with GERD may have trouble breathing at night or upon awakening. Raise the head of the bed up on six inch blocks or use an extra pillow or two to elevate the head – gravity will help keep the stomach contents down. Do not eat or drink anything for at least two hours before lying down or going to bed. Avoid eating foods that can increase the amount of acid in your stomach, like fatty foods, alcohol, caffeine, and spices. Losing weight can help you control reflux symptoms. Take gastric-reflux medications as advised by your doctor. Although asthma is not caused by emotions, an attack can be caused by the changes in breathing patterns that may go with strong feelings. For some people, laughing, crying, yelling, or anxiety can trigger an asthma attack. Asthma can cause emotional stress all by itself. When you have trouble breathing, it is indeed cause for alarm. Learning to handle stress and anxiety can help you get better control of your asthma. Find ways to relax using breathing exercises when you are under stress (ask your doctor or visit your local library to learn more). Practice your relaxing and breathing exercises until you can do them easily when needed.